Tim Holtz Idea-ology PHOTOBOOTH th93799 at Simon Says STAMP! th93799 This item is on reserve until If you would like to reserve this item now, you may purchase it now with the rest of your order. We will hold your order now and ship your entire order as soon as this item is back into stock. If you would like your order to ship now, please place this item on a separate order. Success, Tim Holtz Idea-ology PHOTOBOOTH th93799 has been shared! Photobooth: an eclectic collection of vintage photo booth photo strips. Approximate measurements: 1.75 x 6 inches. 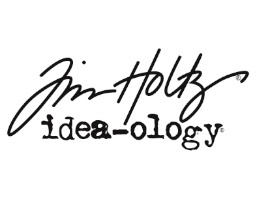 As a crafter in the industry since 2000, Tim Holtz enjoys the creative process of making things as well as playing an integral part in the development and design of cutting edge products. Tim designs unique papercraft embellishments, papers and tools with a vintage appeal in his Idea-ology line.